Here are 10 studies that will change the way you look at nicotine forever. 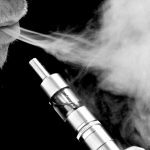 The most notable thing about e-cigarettes for scientists and doctors looking at e-cigarettes is that unlike in tobacco analogs, the nicotine consumed is in pure form. To investigate the effect of this, scientists subjected lab rats to pure nicotine in twice the quantities consumed by even heavy smokers. As if this wasn’t enough, they did it for 20 hours per day, five days per week, for two years. For a smoker to consume this much nicotine, he or she would have to chain-smoke, but with two cigarettes in their mouth at any one time, and only sleep four hours per night to accommodate their Goliath habit. At the end of the study, the heavily nicotine-addicted rats didn’t have more tumors or die more frequently than the “control” group of rats (who breathed ordinary air). In fact, the only difference between the two groups was that the nicotine-consuming rats lost a little weight. This study is one important piece of evidence that shows that the other chemicals in tobacco smoke cause cancer, not nicotine. So, why did the rat equivalents of chain-vapers end up weighing less than their ordinary counterparts? To find out the answer, a group of scientists fed one group of mice a high-fat diet and another group the standard chow diet and investigated the effects of nicotine vs. an inactive saline solution. The researchers found that the mice dosed with nicotine weighed less overall after seven weeks, and the effect was more pronounced in those on the high-fat diet. 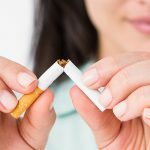 In addition, the mice consuming nicotine took on fewer calories – which accounted for all of the weight loss in the ones on an ordinary diet and two-thirds of it for those on the high-fat diet. It was also found that nicotine was particularly effective against belly-fat. As an additional test, the scientists then gave the mice a drug to block the nicotine receptor (preventing the drug from taking an effect) and tried again, so that if something other than nicotine was causing the effect they would notice. The weight loss was no longer observed, thus demonstrating that it was a result of the nicotine. Mild cognitive impairment might not sound like much of a big deal, but it’s actually an important indicator and a significant symptom of Alzheimer’s disease and numerous types of dementia. However, nicotine had been reputed to have a positive impact on the symptoms, so a six-month pilot trial was conducted to determine if there was any truth to the claim. The study used nicotine patches (at a dose of 15mg per day), allocating them at random to half of the participants (who all suffered from mild cognitive impairment and were non-smokers) and giving the other half fake (placebo) patches. Aside from the treatment being evidently safe after the six-month period, they found that the nicotine-consuming participants improved on tests of mental processing, attention, and memory (the main outcomes they were looking for). There was no improvement on the clinician-rated global impression scale (essentially doctors’ assessments of the condition), but the study supplied strong evidence of an overall benefit. The authors suggested more studies to further investigate the potential of nicotine for Alzheimer’s and dementia sufferers. Here, another important piece of information is provided about the link between nicotine and cancer. Researchers from Stanford University investigated the effect of nicotine on the process of new blood vessel growth in mice (known as angiogenesis) and on the growth of tumors. After subjecting mice to the amount of nicotine consumed by a 20-per day smoker, they found some surprising benefits. For mice whose hind legs had been (purposefully) deprived of oxygen, the researchers found that nicotine notably increased the rate of new blood vessel growth, which gives it huge treatment potential for people suffering tissue damage as a result of a stroke or heart attack. The effect is assumed to be related to nicotine binding to a specific receptor found throughout the blood vessels, triggering the release of chemicals which stimulate angiogenesis. 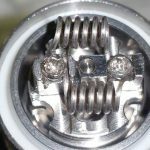 As you may have noticed, there are numerous potential benefits to nicotine, and researchers have looked into its effect in a wide range of conditions. Ulcerative colitis is a bowel disease – similar to Crohn’s disease – and there have been suggestions that smoking actually protects against it. A researcher set out to review the existing evidence on the subject and found that nicotine (in a patch or other forms) does appear to have a notable benefit for people suffering from the condition. Research shows that smokers have a greatly reduced chance of developing ulcerative colitis, and even that people who start smoking when they have the condition tend to get better. Obviously, smoking is not a good thing, so several clinical trials were conducted (often using patches) to determine whether nicotine was the active component. The review of multiple studies concludes that nicotine is the therapeutic ingredient, and when given in addition to existing medicines for the condition, results in significant improvements compared to the medicine alone. 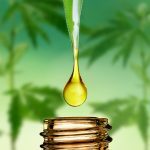 In fact, the study suggests that it could even serve as a backup treatment when corticosteroids can’t be used. 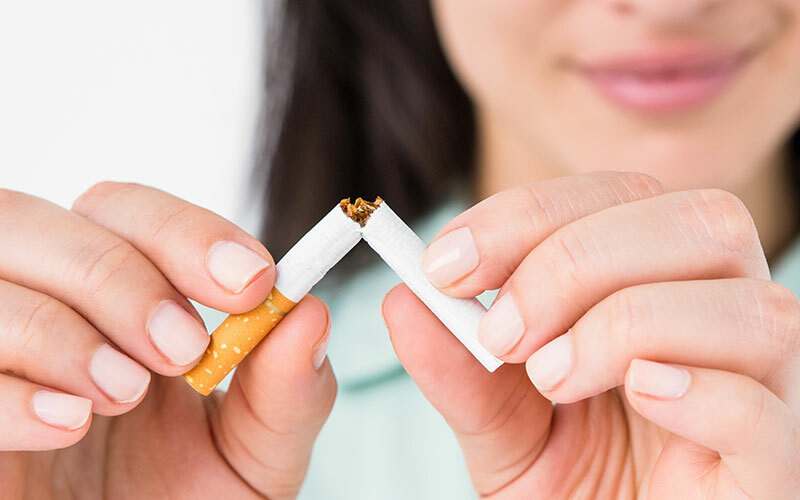 Thanks to the prevalence of nicotine replacement therapies (NRTs – like patches and gums) as quit-smoking aids, there have been many clinical trials conducted on their impact on both smoking cessation and adverse health effects. A systematic review of the available evidence on the topic (looking at over 2,700 smokers in total) found that whilst NRTs have modest success rates (at best), the side-effects from consuming pure nicotine are minimal. The pooled evidence-base showed that those taking pure nicotine (in one form or another) didn’t suffer significantly more adverse effects than those taking a placebo. The only difference was that nausea was more common amongst the nicotine-consuming group, with 8.7 percent of them experiencing it in comparison to 5.3 percent of those on the placebo. Although other research quoted above has addressed the commonly-held misconception that nicotine causes cancer, there has been plenty of research conducted on the topic. 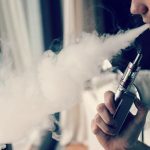 One particularly notable one involved a direct comparison between smoking and pure nicotine in over 3,000 participants, by looking at the numbers of them who went on to develop lung cancer. Unsurprisingly, they found that smoking was definitively linked to the risk of developing lung cancer. 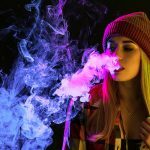 They also found that the use of pure nicotine did not increase the risk, providing yet more evidence that nicotine itself does not increase the risk of cancer, just the multitude of carcinogens in tobacco smoke. The link between smoking and depression is well-known, but in 2006 a group of researchers looked at the impact nicotine itself has on the condition. This is a bold move in itself since most people would assume that if anything, the psycho-active drug central to smoking should make things worse. However, the study found that when non-smokers who scored high on the depression scale were randomly assigned either a nicotine patch or an inactive placebo patch for four weeks, the ones who received nicotine had significantly decreased depression scores after eight days. After that point, the assigned dosage decreased to just 3.5mg per day, and the positive effect disappeared. Since their mood wasn’t observed to improve just after the dosage, it indicates there is a deeper underlying mechanism involved than simply the pleasurable effects of nicotine. The suggested mechanism of action has also been confirmed in animal tests. If you were to basically classify nicotine in terms of a type of drug, it’s a stimulant, like caffeine. This means that like other drugs in this class, it should have the effect of increasing alertness. To test this, some researchers recruited one group of smokers and another of non-smokers, assigning them two different sets of “searching” tasks (like scanning a page of text for pertinent information) of increasing difficulty. These were used to test the effects of nicotine on attention and “working memory” (which is basically equivalent to short-term memory). The smokers were given one task when they hadn’t smoked for two hours, and then another (of equivalent difficulty) after having a cigarette. The second round of tests was more difficult to account for their familiarity with the task. In both tests, the nicotine consumption enabled better performance on the tasks. At first – when the task was new – the smokers (after a cigarette) spent much less time re-examining something they’d already looked at (indicating a short-term memory improvement). On the second nicotine-fueled attempt they “changed strategy,” enabling them to increase the proportion of things they looked at which were relevant (indicative of greater focus on the problem). This test may have used cigarettes – but with e-cigs, the same benefits come without the well-documented risks of smoking.